Discrete Fourier analysis is a tool that is of great use in many problems in additive number theory. However, it also has its limitations: there are some problems for which it is (provably) too blunt a tool. In recent years, strong evidence has emerged that there should be a "higher-degree" Fourier analysis that can be used to tackle a much wider range of problems that had previously appeared to be out of reach. In particular, "quadratic" Fourier analysis already exists in a form that is useful for applications. I shall discuss this and several related themes in arithmetic combinatorics. 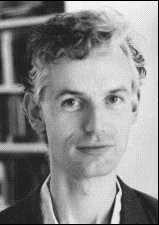 Timothy Gowers was born in Marlborough, England in 1963. He attended Trinity College School, Cambridge (1982-1989), where he received a Ph.D. under Béla Bollobás. He was appointed lecturer at University College, London in 1991 and Rouse Ball Professor of Mathematics at Cambridge in 1998. He was awarded the Fields Medal in 1998. Amongst his mathematical results are solutions to two problems posed by Banach in the 1930's and a new proof of Szeméredi's theorem which gives the first upper bounds that are small enough to be easily stated.